New Jersey Attorney General Announces New Initiative Targeting “Public Corruption,” But Could This Be A Witch Hunt? New Jersey continues to make the national news headlines this week as, on May 9th, Attorney General Christopher Porrino announced that the state would be offering a $25,000 reward for any tips “to fight corruption.” Porrino referenced former Bloomfield Councilman Elias Chalet in his announcement; Chalet recently pled guilty to bribery and will now be serving five years in prison. But what does this mean, and could this be abused by members of the public who may want to make a profit by calling out innocent people? Porrino’s initiative also involves a program that offers lower-level defendants involved in corruption schemes the chance to avoid prosecution if they essentially “blow the whistle” on others involved in crime, inevitably bringing us back to our original concern: could this new initiative effectively turn into a biased witch hunt? New Jersey’s law on the crime of “corruption of public resources” is noticeably vague: it states that a person commits the crime of corruption of public resources if, with respect to a public resource (i.e. funds or property) which is subject to an obligation to be used for a specified purpose/purposes, a person knowingly uses or makes disposition of that resource (or any portion thereof) for an unauthorized purpose. This includes making a “material representation” that is false to a government agency, officer, or employee with the purpose of obtaining and/or retaining a public resource or to mislead or deceive someone as to the use or disposition of that resource. A crime of this nature is considered to be a crime of the first degree if the resource involved is used “in the performance of a governmental function” if the amount or value of the resource is $500,000 or more. If its value is $75,000-$499,000, it is a crime of the second degree, and third degree if it is less than $75,000. Some examples provided by Porrino of what might be triggered under the initiative include public workers assigned to act as personal handymen for their bosses, contractors asked to pay bribes to local code inspectors, and/or corporate employees pressured by executives to make illegal political contributions, etc. One recent example of a public corruption charge prosecuted by Porrino includes the accusation that the mayor of Paterson (Jose Torres) directed three supervisors in the public works department and other municipal employees to perform work at a warehouse leased by his relatives while being paid overtime by the city. If you have been accused of bribery or any other charge associated with “public corruption,” you should speak with an experienced criminal defense attorney right away. 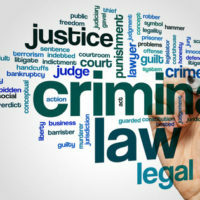 At the law offices of Phillip J. Murphy, we have been providing criminal defense services to clients in Bergen County and surrounding areas of New Jersey in for more than 25 years. Contact us today for a free consultation to discuss your options.